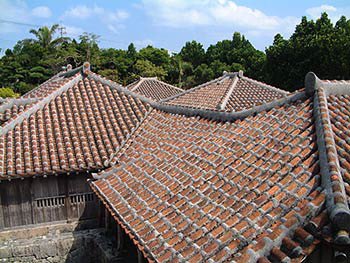 The Nakamurake is a traditional Okinawan style house with red tile roof, a typical rich farmer’s residence from the early 19th century. One of the most interesting points at Nakamurake is the shisa sitting atop the roof. Shisa are an Okinawa talisman believed to ward off bad spirits. A huge stone slab called “Hinpun” sits just inside the gate and is also believed to prevent evil spirits from entering the residence. The house is guarded from typhoons by surrounding Fukugi trees. These trees are said to be over 250 years old! 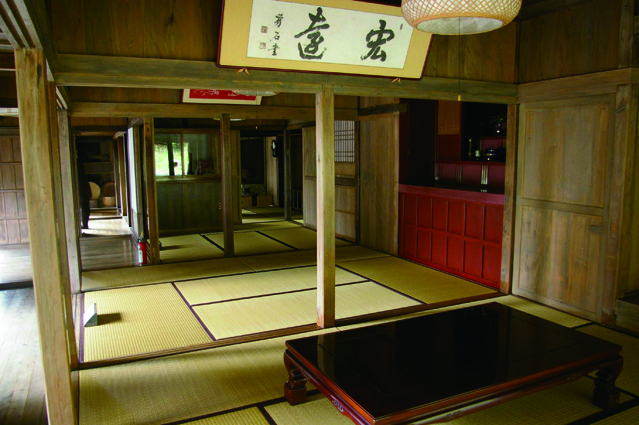 Nakamurake has been designated a major cultural asset by the Japanese government.